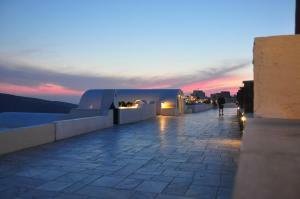 Stelios Rooms is located in the village of Oia and offers a balcony. The accommodation has free WiFi. 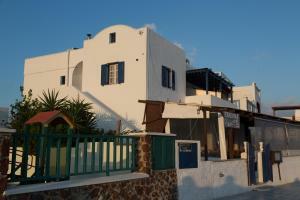 The establishment is 15 meters from the nearest bus stop and 2 km from Ammoudi beach. If you wish to use the transfer service at an additional cost, please inform the property in advance. The contact information can be found in the configuration of the reservation. The establishment accepts children over 7 years old. If you are younger, you must contact the hotel in advance. This double room has a balcony with views of the volcano and the caldera, air conditioning and free WiFi. 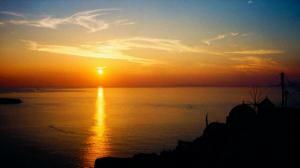 Double room with a balcony overlooking the Aegean Sea, satellite TV and free WiFi. 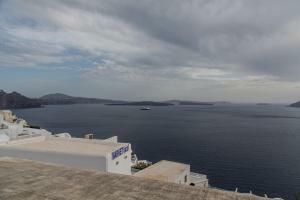 This double room has a kitchenware, satellite TV and balcony with Aegean Sea view. This double room has kitchenware, satellite TV and a balcony.